Cumulative evidence points to the effectiveness of moral dilemma discussion as a pedagogical strategy. However, much of the extant empirical research has been limited to investigating its effect on moral judgment. In addition, the potentially distinct effects of the two major components of the intervention, the intrapersonal contemplation and the interpersonal discussion that follows, have been barely examined. 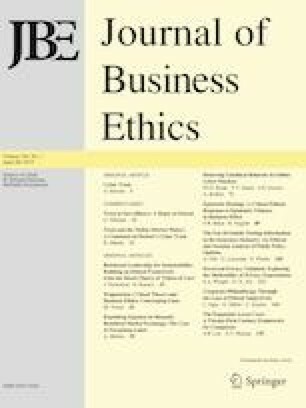 Using the Trolley Problem, this quasi-experimental study (N = 115) examined the effectiveness of moral dilemma discussion and of intrapersonal moral dilemma contemplation in promoting prosocial intentions among individuals in the context of a product-harm situation. The results confirm that moral dilemma discussion positively influences some forms of prosocial intentions. The results also suggest that moral dilemma discussion is not necessarily more effective than intrapersonal moral dilemma contemplation in promoting prosocial intentions.